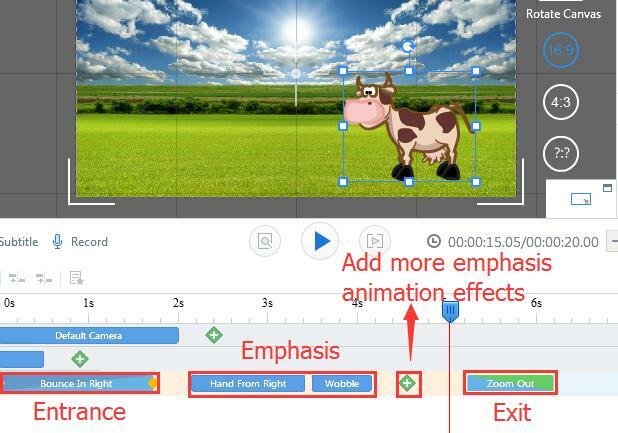 You are able to add animation to the objects in your video to create awesome visual effects, so that you can grab more attention from audiences. 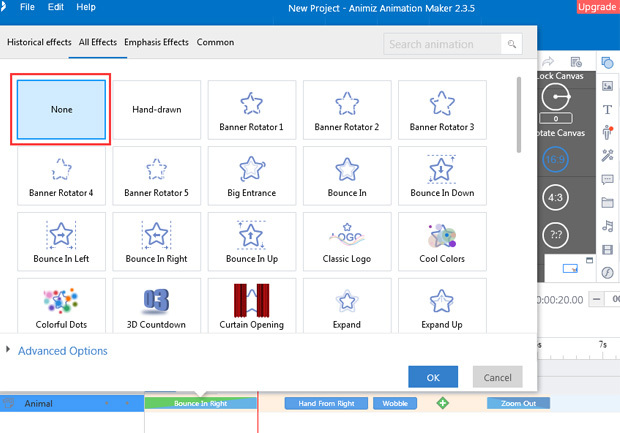 First, you need to add objects to the scene, and then click the object to make sure that it has been selected, and you need to go ahead to have a double click on the animation bar. 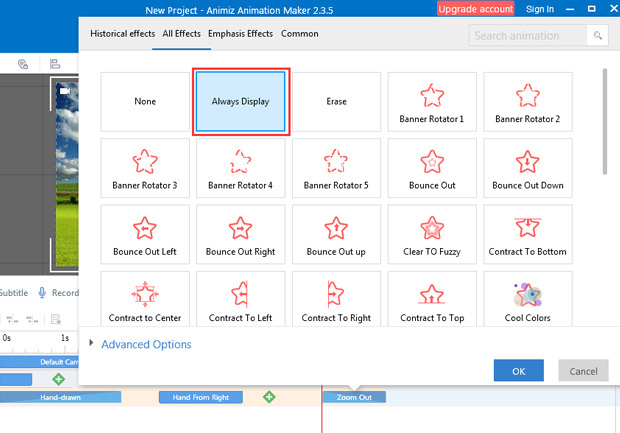 In this moment, you can add or change animation effects. 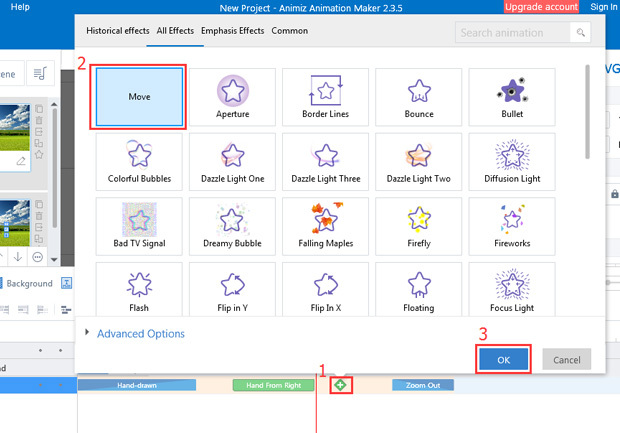 “None” is one type of special animation effect, but when adding this Animation Effect to the object, the object will play without any animation effect, whether at the moment when it enter to scene or exit from the scene (Exclusively for the Entrance and Exit). 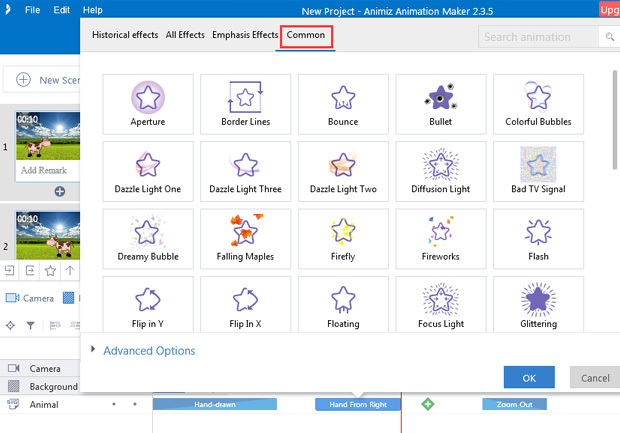 After the creation of this animation effect, you need to click the object in the canvas, and then you will find an arrow, imaginary line and duplicate. You can move the duplicate to create a linear motion. You can also have a click on any place in the imaginary line, and there will be a circle. And you can drag the dot to create a curvilinear motion for the object. 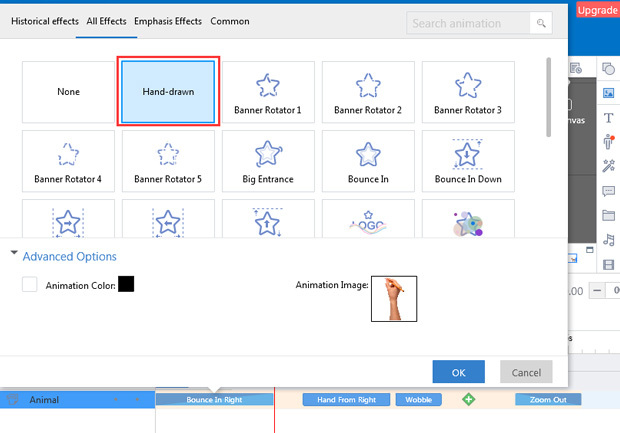 There are tens of creative effects that can help you animate your objects, such as Banner Rotator, Bounce In, Expand, Extent from Center, Fade In, and more. After the text adding, you can add different amazing text effects to them, which will bring you a totally animated visual experience. Have double click on the animation bar of the selected text, and then double click the target text effect, you will quickly add it to the text. 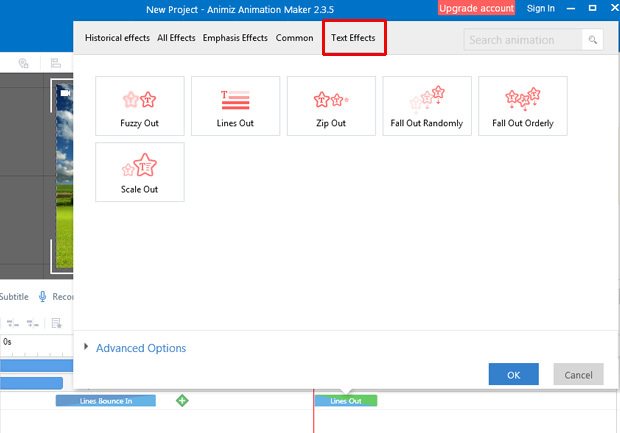 Previous：How to align objects' animation duration?